Finland launched a two-year trial program of universal basic income (UBI) on Jan 1, 2017, with 2,000 citizens. Participants were randomly selected, but had to be receiving unemployment benefits or an income subsidy to be eligible. The pilot will provide these 2,000 Finns, aged 25 to 58, with a monthly deposit of 560 euros - roughly US$587 - that will replace their other social benefits, regardless of whether they find work or not. Finland has become the first country to pay a basic income to citizens on a national level in this experiment to address poverty, motivate people to join the workforce and decrease unemployment, which has been holding steady at 8.1% over the last few years. With a population of 5.5 million, the average private sector income in the country is 3,500 euros per month. 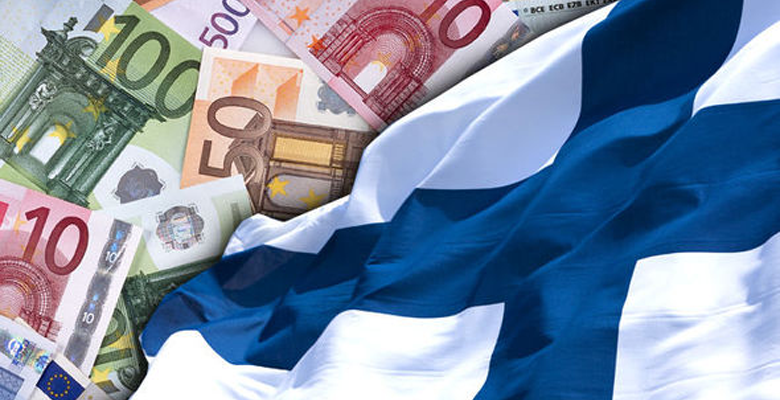 This plan aims to reshape their current social security system by reducing the bureaucracy and simplifying the generous but complicated benefits system in Finland. Olli Kangas from the Finnish government agency KELA - responsible for the nation’s social benefits - said Monday that they’re aiming to abolish the “disincentive problem” among the unemployed. In the current system, an unemployed person may refuse a low-income or short-term job out of fear of having their financial benefits reduced drastically (i.e. if the employment opportunity would not provide the same benefits they currently need, or pays too low for them to find ways to cover their needs). The trial aims to discourage people’s fears “of losing out something,” Kangas claims, emphasizing to their population that these selected individuals will continue to receive the 560 euros even after finding a job. “It’s highly interesting to see how it makes people behave,” Kangas disclosed. “Will this lead them to boldly experiment with different kinds of jobs? Or, as some critics claim, make them lazier with the knowledge of getting a basic income without doing anything? That is one of the biggest criticisms of implementing UBI. Everyone is resistant to handing out free cash to someone for doing nothing, with many regarding it as unfair and unproductive. When Switzerland held the world’s first referendum on the topic last year, more than 77% of voters rejected the concept. And in September, the U.K. government even rejected plans for a basic income scheme. “While at first glance a universal basic income might appear desirable, any practical implementation will invariably be unaffordable. Because it doesn’t take into account individual needs properly, it will markedly increase inequality,” Conservative politician Damian Hinds said during the debate. Gigi Foster, an Associate Professor at the University of New South Wales School of Economics, called UBI “the dangerous idea of 2016.” She doesn’t believe it will remove the incentive to work and strive for success in the labor market, and depending on how the system was structured thinks it will eventually penalize people for working more. She pointed out there it’s only logical to expect the market to adjust and some of the UBI to be soaked up by higher prices. “Watch the policy experiments in Europe keenly. But don’t assume for one minute that universal basic income is a magic bullet. Compared to [Australia’s] current system, it is expensive, inefficient, and potentially regressive,” she wrote in the Conversation last month. However, there are already successes for us to point to. In the Italian city of Livorno, 200 of its poorest families are currently receiving around US$500 per month. In Kenya, a US-based NGO called GiveDirectly is currently giving 6,000 individuals enough income to cover food, shelter, and healthcare over a 10-year period. Other trials are underway in the province of Ontario in Canada and in Utrecht in the Netherlands. Scotland even plans to test out similar schemes in Fife and Glasgow later this year. Believe it or not, the best example of a guaranteed income program might actually be in the US. Alaska has been giving out annual cash payments to all residents since the 1980s, a dividend from the state's oil revenue. It’s been so successful, in fact, that there is a now a privately funded program in its early stages in California. In experiments run in India, the villagers defied all critics of UBI. Far from wasting the cash grants, the villagers invested the money into renewing their houses and building latrines, bulk buying food, paying school fees and sending their children to get a proper education, and investing in seeds and pesticides, goats and oxen, and at least one cow. All this lead to a significant shift from paid labor to self-cultivation. Women were buying sewing machines for their own businesses, making blouses, dresses, and petticoats. Finally, these small groups made efforts to treat previously unaddressed illnesses, such as TB and blindness, and to remedy injuries. I think it’s safe to say UBI has been a roaring success in these villages. I couldn’t agree more. I’ve already criticized the Fight for $15 working for the wrong goals. Basic income is the most logical step towards actually helping the lower class and cutting back on social programs that involve too much red tape and reporting manpower to be efficient. UBI would provide a more secure income in an increasingly insecure economy. The job market is shifting- manufacturing work, unskilled labor, and other basic service jobs are disappearing with advancements in technology, leading to unpredictable employment patterns. UBI offers much greater financial independence and freedom of choices because people no longer have to choose between paying the bills and their passions. We could find the balance between work and leisure without overwhelming monetary pressures. One of America’s defining characteristics seems to be wanting a smaller government, and I agree with the concept that we shouldn’t need to legislate every aspect of people’s lives. I think this may be one of the best solutions for this- by offering people a basic income, we wouldn’t need to worry about qualifying aspects, defining specific situations, and categorizing who requires what and who passes arbitrary requirements in order to receive funding. This places the onus on individuals to use their money responsibly; should they fail to do so, then it is their own failure. $587 a month is next to impossible to survive off alone (I think this may cover my groceries for a month? But most certainly not my rent or other essentials), but it provides a security cushion. Should someone choose to, they could take that additional money and commute to a better job as opposed to working a dead-end, minimum wage job close to home so they can pay their bills. Perhaps lower-income families would be more willing to actually search for work knowing there is additional money that can cover the cost of childcare while they’re away from home, trying to earn an honest day’s paycheck. Although we’re a long way off from implementing UBI here in North America, hopefully Finland’s program can prove to the naysayers over the next two years that this is the way of the future. UBI is the direction all countries should be looking towards if they wish to offer feasible solutions to the problems their populations are facing.